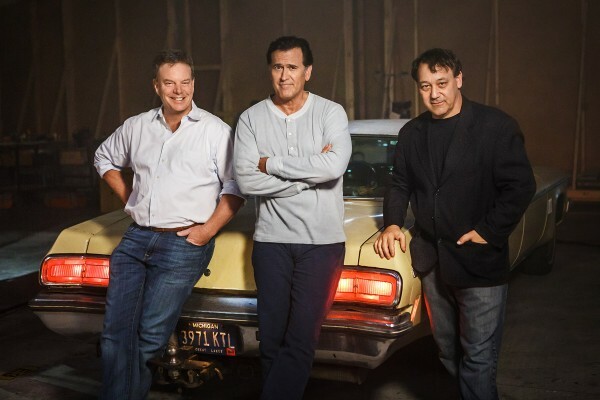 Official Synopsis: Campbell will be reprising his role as Ash, the stock boy, aging lothario and chainsaw-handed monster hunter who has spent the last 30 years avoiding responsibility, maturity and the terrors of the Evil Dead. When a Deadite plague threatens to destroy all of mankind, Ash is finally forced to face his demons –personal and literal. Destiny, it turns out, has no plans to release the unlikely hero from its “Evil” grip. This entry was posted on Friday, May 29th, 2015 at 12:52 pm	and is filed under Film, News. You can follow any responses to this entry through the RSS 2.0 feed. You can skip to the end and leave a response. Pinging is currently not allowed. « Film Review: ‘Felix and Meira’!